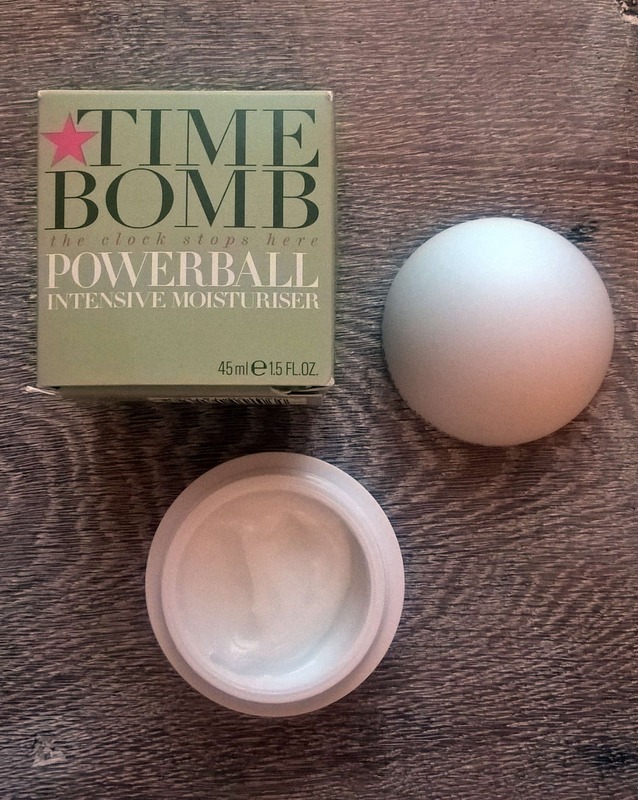 Time Bomb Powerball Intensive Moisturiser is perfect for your skin over the colder months due to it’s rich, hydrating formula. Delivered in a spherical pot, this intensive formula is packed full of 21 natural hydrating agents to give you totally moisturised skin. Although rich, this product is instantly absorbed leaving your skin feeling supple and protected. Being non greasy, make up can easily be applied afterwards on your soft, fresh more healthy looking skin. I’ve found this has worked perfectly for my face, giving a more plump, hydrated feel to it. This is a great moisturiser packed full of benefits for hydrated, youthful looking skin. With the cold, windy weather we are currently experiencing, Timebomb’s Powerball will definitely give you the protection you need and relieve any dryness or red patches. Although I’ve always tried to look after my skin, hitting 40 means I want to try a bit harder to protect my skin from ageing, so I was keen to try Time Bomb skincare. They have a simple but focused approach targeting key areas to fight the signs of ageing. 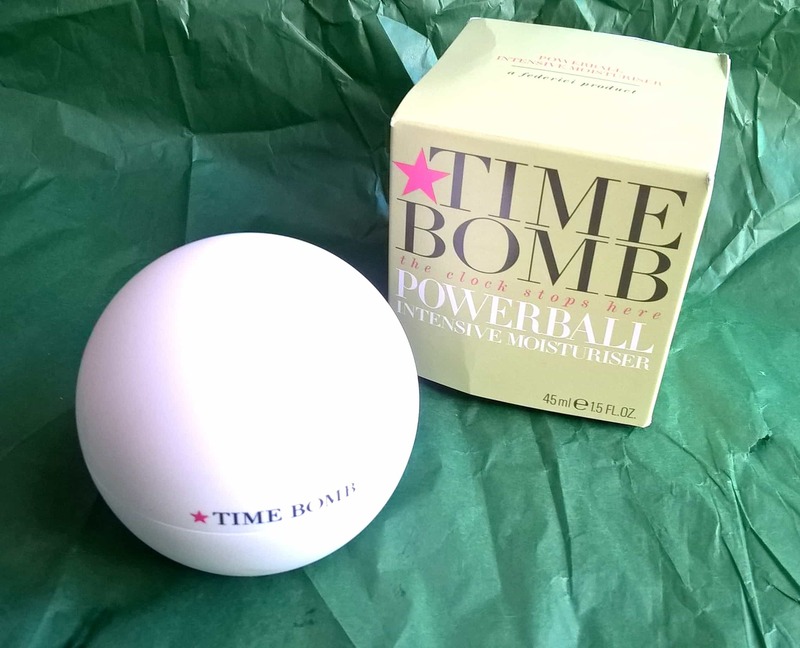 Time Bomb is a stylish but functional range of skincare that looks good on the dressing table but how does it work on the skin? I found the Powerball Intensive Moisturiser to be thick, rich but very lightweight and just melted onto the skin. It felt exceptionally hydrating and a welcome boost to my skin each day. I have been using this product for the past month and my skin definitely feels more supple, hydrated, softer and firmer, resulting in a more youthful feel. 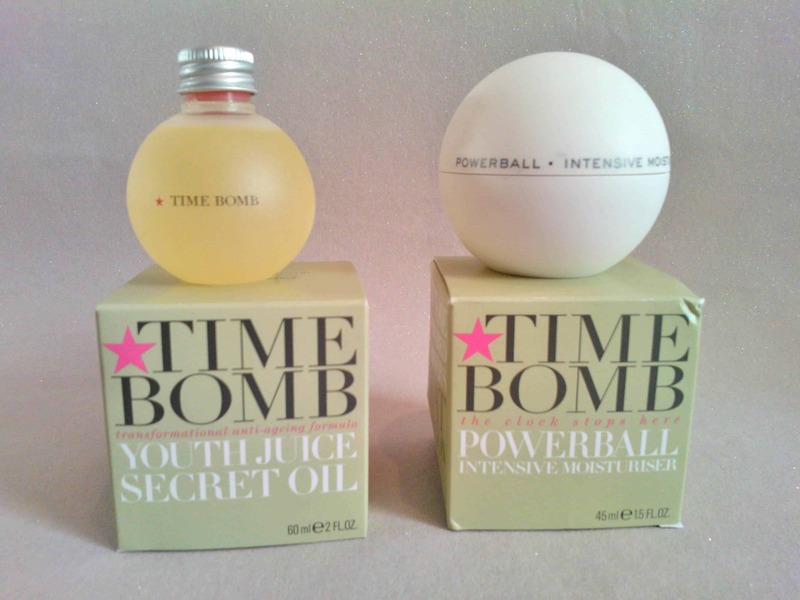 I love the heavenly scent of Youth Juice, the blend of oils hits you as you open the bottle. Containing olive, kukui, avocado, jojoba and more along with vitamins C and E, this really does enrich your skin and leaves it feeling velvety soft. This should be applied under moisturiser in both morning and evening and really gives skin that added boost and glow it needs as it gets older. The Time Bomb combination that I have been using has been perfect for my normal type of skin leaving it exceptionally soft, richly hydrated and maintaining a youthful glow!